Spoiler alert: Copenhagen completely exceeded my expectations. Don’t get me wrong, I’ve always wanted to visit “The Happiest Place on Earth” but I was unsure if it would live up to they hype. For the record, it does. When we arrived at CPH Studio Hotel, we were immediately thrilled with the location. In the city, but in a quieter area close to Amager Beach. We got to our room and couldn’t believe the view! Massive glass windows and the PORCH! There’s also an incredible rooftop right above ours where any guest can get a fabulous bird’s eye view of Copehagen, the water, and I’m pretty sure even Sweden, from a distance. The room itself was perfect: Spacious, clean, and trendy. I’m a sucker for cute décor and my husband, being in Europe for his job, loves a good workspace. And anyone who travels a lot knows the value of a comfortable bed and here, we slept like babies. 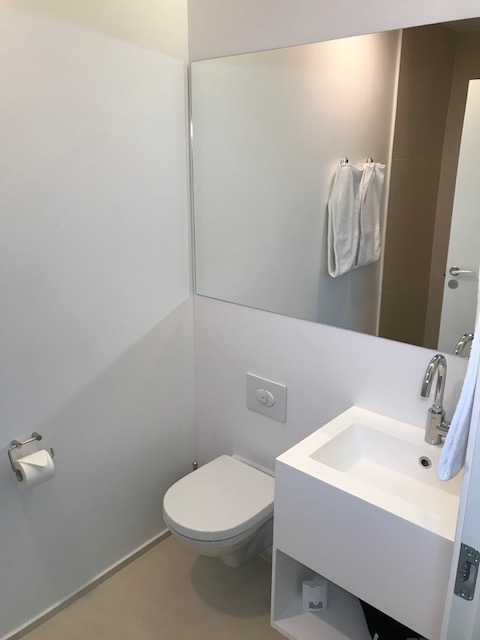 The bathroom was also spacious and extremely clean. 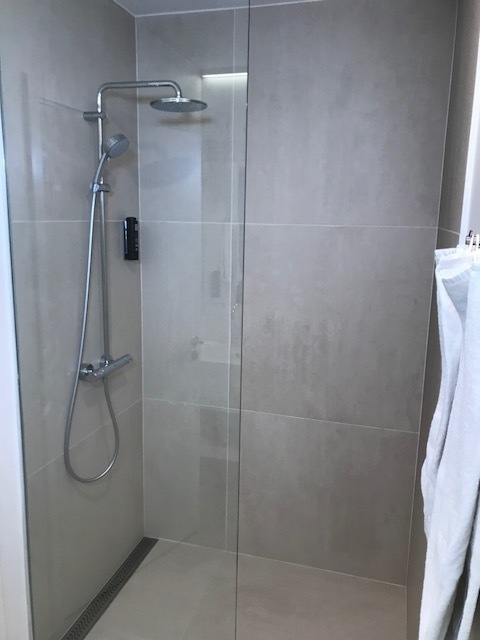 Equipped with a nice showerhead and spray nozzle with good pressure. Our long weekend was jam-packed. 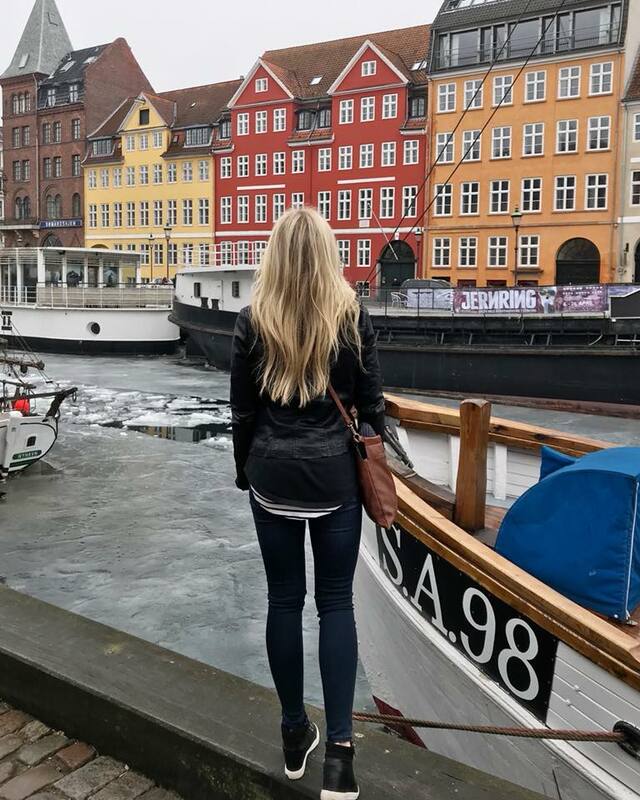 I’ll start with my favorite stop: Nyhavn. What is this place? A setting from a Nicholas Sparks book? A scene from a fairy tale movie? The most adorable place on earth? I couldn’t stop taking pictures. The charming, colorful buildings, the broken ice in the partially-frozen canal, the sailboats parked along the water. I had to get a photo of one of the three houses author Hans Christian Andersen lived in, the author of my favorite fictional story, The Little Mermaid. Growing up, I loved the movie so much, I wanted to memorize every word of every song . I asked my Mom for the lyrics. Since this was before Google, my sweet Mom scrolled through the entire VHS (that’s how we watched movies back then, kids) and wrote down every last word. That’s the tip of the iceberg that is my mermaid obsession. Therefore, I also had to get a photo of the iconic Mermaid statue across town which is one of the most visited tourist attractions in Copenhagen. Before you leave Copenhagen, you must (and I mean MUST) try a Belgian waffle. In Nyhavn, my husband spotted this adorable shop and insisted we get one (he's a sweetheart). The only complaint of our long weekend in Copenhagen is that we didn’t have enough time! There’s so much to see, do, and eat! God willing, we will be back! 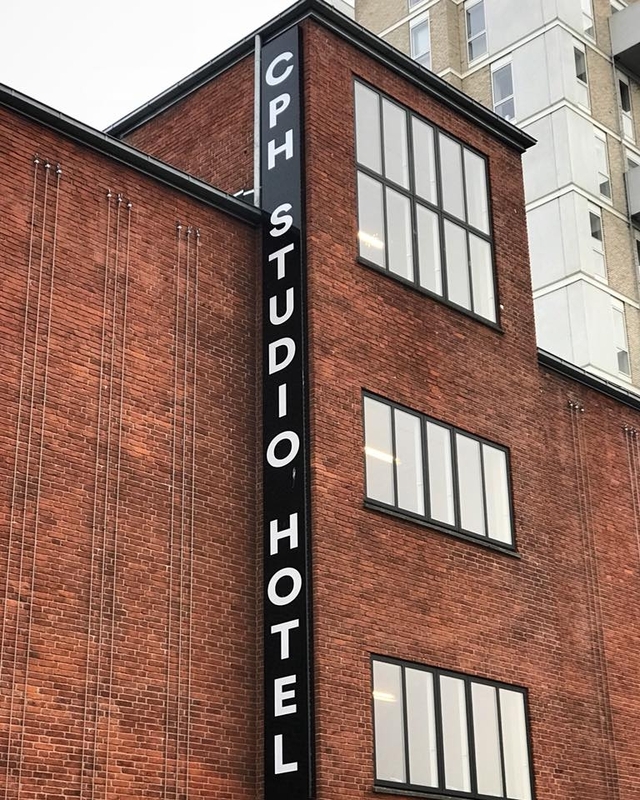 Thanks to the amazing staff at CPH Studio Hotel for a wonderful stay!